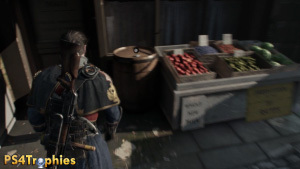 The Order 1886 has four different types of collectibles. There are Phonograph Cylinders, Newspapers, Objects and Photographs & Documents. Completing each set will reward the player with a trophy and then finally another one for locating all of them. With the exception of the cylinders, you actually don’t pick them up. Instead, you inspect them when you approach them. The cylinders are actually picked. The newspapers, object, and photos and docs are inspected. 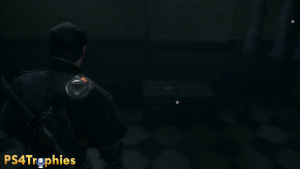 When you are about 20 feet away from one, you will see a small fingerprint icon indicating it is an object you can interact with except for the cylinders which flash instead. 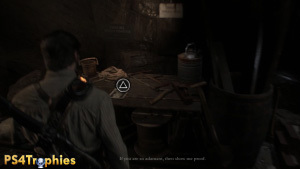 This guide is arranged in the order you should come across them in the game. 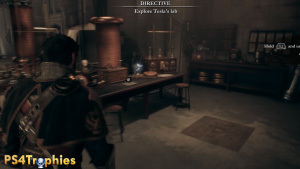 There is no in game tracker for any of the collectibles so if you miss one, you will not know unless you follow a guide. 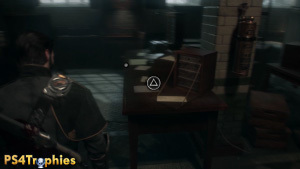 However, since you actually pick up the phonograph cylinders, you can view them from the Archive menu from the pause screen although you won’t be able to see which ones you have missing.. You are able to go back and get any missing collectibles through chapter select and you can also select which scene within the chapter to further eliminate the need for excessive replaying. 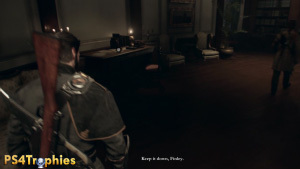 The scene won’t assist you unless you are using chapter select as the game won’t tell you where you are. 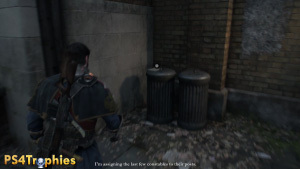 *Note* Many objectives will automatically take your character to a new location. Make sure to always get collectibles as soon as you’re able. Newspaper – Once you enter the building, you will see a gentleman wiping down a railing with stairs heading down just past him. 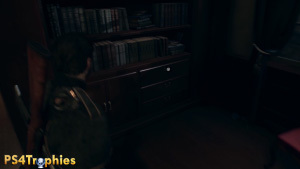 In this same room behind the guy, inspect the newspaper on the small desk behind him. Photo & Document – Walk down the stairs in the room with the previous newspaper. At the bottom of the stairs you will see a table with white cloth over it in front of you and on top of that is the photo you can inspect. Cylinder (Le Morte d’Arthur)– in the very next room this will be along the right wall after entering it. Photo & Document – After climbing down a ladder to street level, continue down the street just a little bit and before turning right, look off to the left side of the wall and a document will be sitting on top of a garbage can in a corner. Object – Continue onwards and before you meet with Igraine you will see some fresh food stands along the left. 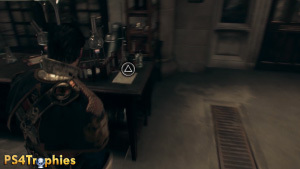 The object you must inspect is a flask that will be on top of a barrel. 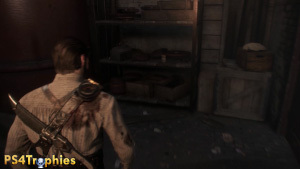 Photo & Document – There are 3 collectibles in this area. Be sure to acquire each of these three before talking to Tesla. 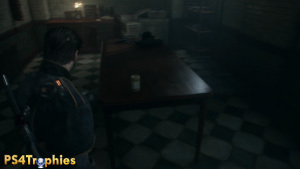 One document is located on the table just to the right when you enter the room. 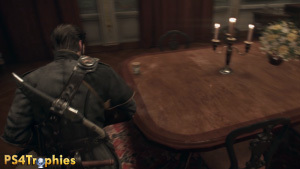 Object – There is a communicator on a table in the center of the area. Pick it up to inspect it. 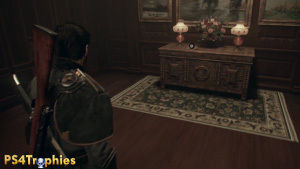 Photo & Document – The final inspect item in this area is on a table not far to the left of the object in the center of the room. Newspaper – The chapter will start with you getting out of a carriage. Once you get out, turn around and follow the street heading towards the right until you find a newspaper on top of a box near the end of the path. Object – You’re companion and you will walk up some stairs that to a doorway that is boarded up. 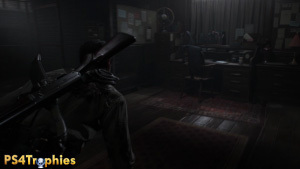 Your buddy will break through into the room and follow him into the room and their will be a pipe you need to inspect right in front of you as you enter the room. Photo & Document – You will come across three men standing over a fourth one who is laying on the ground. There is set of stairs heading up behind them and some stairs heading down to a shelter to the left of them. Take the left stairs down and in this next room in the back will be a document waiting for inspection on top of a crate with a latern next to it. 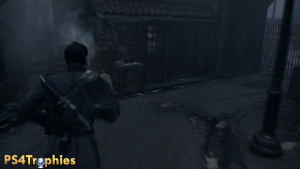 Newspaper – You will end your walk through the alleyway with a door that you need to enter up a few steps on the left. You are told by your partner that you “should head through this door”. It ultimately leads into a brothel but to get find this newspaper walk past the door to the dead end ahead and you’ll find this on a piece of wood sitting on a barrel. Photo & Document – You will now find yourself in a brothel. Get this and the next two collectibles before talking to the guy at the bottom of the stairs at the far end. Near the entrance you will see a round table with someone passed out at it. The photo will be on this table. Object – You will find a French pouch object at the roulette table in the center of the first floor of the brothel. 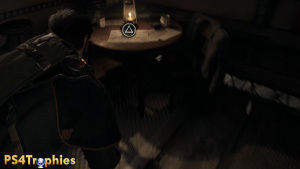 Photo & Document – Head towards the bottom of the stairs and before talking to the guy there, look at the small round tables just to the left and you will find a document at an empty one. Cylinder (The Anarchists 12.10.86)– If you were trying to find the collectibles on your own but are missing one cylinder, this is probably the one. 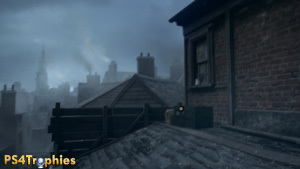 After leaving the brothel you will traverse across some rooftops. You will come to a red building that you can jump over too and climb up into. 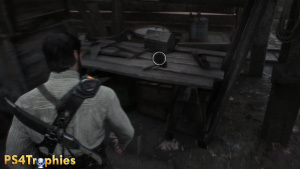 This is where you turn the wheel and also the location of the next collectible. When you jump over to it, you will grab the ledge. 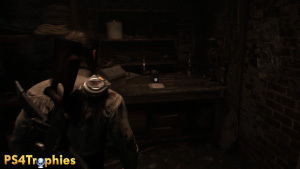 Before climbing up into the room, shimmy to the left and keep going around and you will come to a chest on top of a roof that you can open and find the cylinder. Cylinder (Sons and Daughters of Britain) – Head back and climb up into the building with the wheel that you need to turn. Inside this room in the back right corner will be where the cylinder is located. 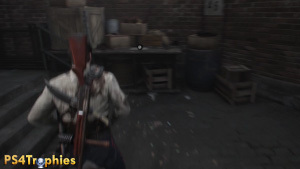 Photo & Document – After the large scale encounter with multiple waves of enemies, you will need to move a cart to provide you a ramp to jump up to the next section. 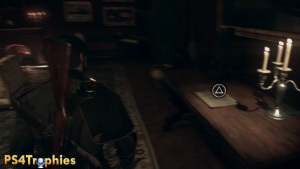 Continue forward but instead of continuing on the path head to the left into the buildings the enemies from the previous encounter where coming from and you will find a document sitting on top of a small box. 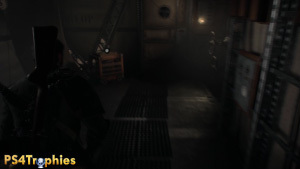 Object – After the scene where you interact with the Sentinel you will leap across a gap and then climb into a building through a window. You will find Sackboy…. yes… Sackboy, next to the doorway heading out of the room. Photo & Document – This actually found in the room after you brought the constable inside. 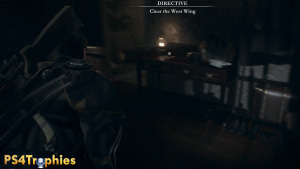 After the brief cut scene you will see a document on the long desk in the same room. 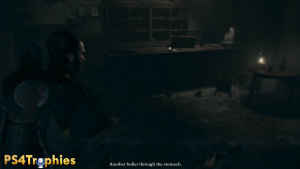 Newspaper – After the first couple sections where you have the thermite gun, you will make your way up and into a building. You will use a horizontal lamp post to cross over to a balcony. Inside this building on the second floor will be a newspaper sitting on a small desk. Photo & Document – After traveling underground and finally getting to the hospital you will see a body on the ground you can interact with. In the back of this room up a half dozen steps will be a document sitting on a table. 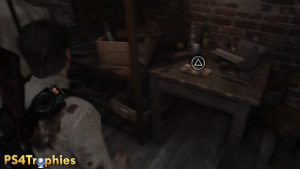 Photo & Document – The final four collectibles in this chapter are all in the rebel hideout. After you place your female counterpart in the bed you will be able to freely search this area. Before doing anything, make sure you grab or inspect this and the next three items. The first photo is on the left side of the room on a cabinet underneath a red flag. 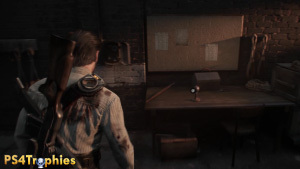 Photo & Document – In the center of the rebel hideout on a desk next to the pillar with the fire extinguisher attached to it. 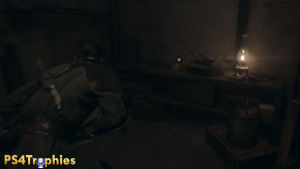 Cylinder (All Through the Night) – In the back of the rebel hideout is a door you need to lockpick to enter. 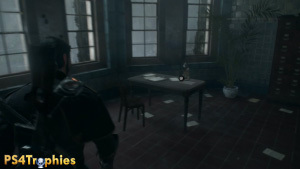 As soon as you enter the room the cylinder will be sitting on the table in front of you. Cylinder (The Anarchists 29.09.86) – On the ground 5 feet away from the previous cylinder is a chest sitting on the ground that you can open to find this cylinder. Cylinder (Agamemnon Christening) – After taking the airship, you will head to the ballroom and need to sneak and stealth kill enemies. 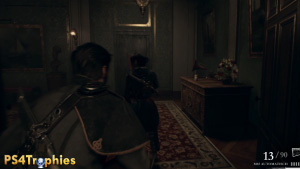 You will come up to an area where you can see a couple guys in another room in front of you with a choice of a left and right path. Going left will lead you to a dead end but it will allow you to take another cylinder. 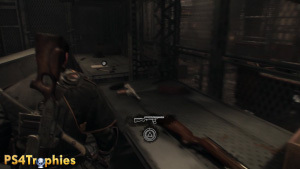 Newspaper – After using two silent takedowns on the enemies near the previous cylinder, you will follow the path and see a large yellow container at the turn in the path. Right before that you will see tiny rooms to the left and the right and if you go into the left room you will find the newspaper. Cylinder (Evacuation Procedures) – After the whole ballroom fiasco, you will be send to find rebel saboteurs. 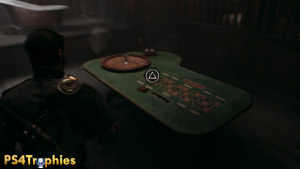 You will be lead through a door and will see a cylinder on the right table with the green felt on top. Photo & Document – From the previous room with the cylinder, you will see a locked door that you will gain entry into. 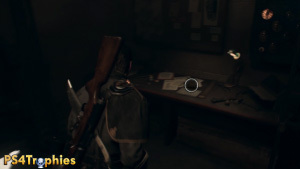 In this next area you will find a document on the counter in the far end on the right along with several weapons and ammo. Photo & Document – This is right after the section in the kitchen. Once you get separated from your partner, take the path to the right and you’ll find this on a wooden cart in the corner. 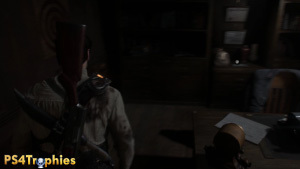 Photo & Document – We skipped several chapters due to them not containing any collectibles. 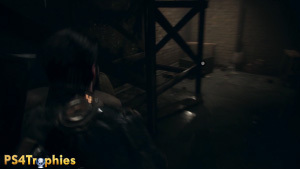 The first one in chapter 9 is at the very beginning when you enter the mines. This will be sitting on a table with some light shining on it. Cylinder (The Anarchists 16.10.86) – This is another you may likely miss on your own. 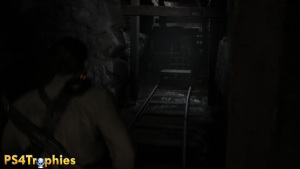 After you push the first mine cart down the tracks, don’t continue on just yet. There is another tunnel heading back the way you came if you turn around and stay right. At the end of this tunnel is a chest containing the cylinder. 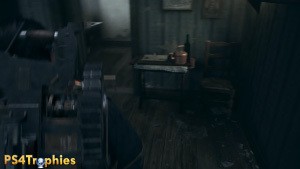 Object – After pushing a second mine cart you will need to make your way up to the street. Before climbing up, look on the opposite side of the structure to your left and you will find a tool you need to inspect. Photo & Document – You will find yourself into a sealed room that will require you to pull a chain to start the process of escaping the room. There is a door to the left of the room and just past it along the wall will be photo on a wooden desk. Cylinder (Cable From the New Continent) – This is on the opposite side of the door near the previous photo. You will need to access this area from the walkway up high. Once you make it to the other side of the door make sure to first pick up this Cylinder. 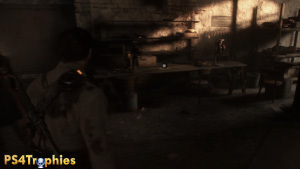 Newspaper – After you finally leave the foundry you will see the woman waiting for you near the blue cart with the red wheels. Do not go near her until you loop around the left side of the building where you will find this newspaper. Photos & Documents – You will make your way into a very well kept and beautiful building with wood floors and walls. In the first building up on the second floor is an office with a photo behind the office chair. Object – When you make your way across to the second building you will find another office up on the second floor in front of you as you enter the building. 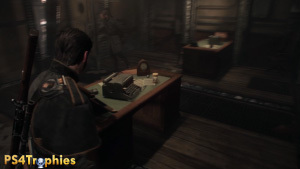 In this office on the left side is a ship from the fleet that you can examine. 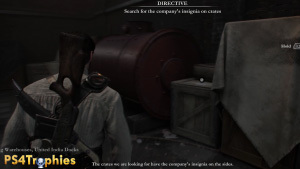 Cylinder (Cargo Inspection Log)– You will now have the directive to Get to the dry dock. Go down to the first floor of the building and don’t exit yet. Make your way around to another office that you will have to lock pick to get into. There will be a cylinder in the back of the room. 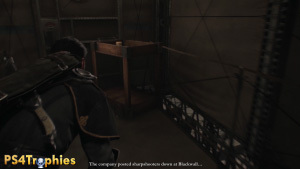 Photo & Document – After eliminating the guards on the ship and around the dock, you will enter a munition room. 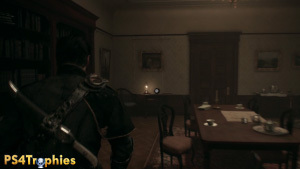 In this room there will be two collectibles. The first document is on the first floor in the corner of the room on a desk under yellowish lighting. 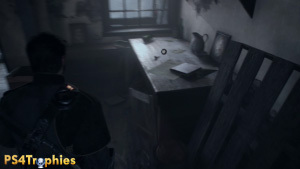 Photo & Document – Once you get the previous collectible go up the stairs and at the top of them will be a photo to inspect. Photo & Document – Once you reach the warehouse you will need to find a crate with red lettering on it. 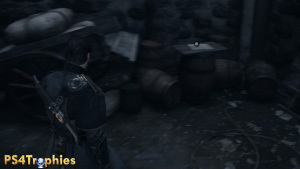 As soon as you enter the warehouse, turn to the right and you will see a document next to the large red tank on a crate. Object – In the same room as the previous document. This is on the opposite side of the room from where you enter the room along the wall on a table underneath the cork board. Newspaper – There’s no directive at the beginning of the 11th chapter, but you will need to approach a house. Once you are let in go straight forward and in front of you will be the newspaper. 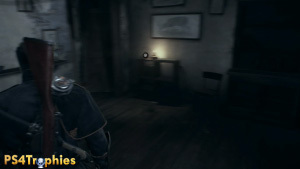 Make sure to grab this and the next one before grabbing the crossbow. Photo & Document – In the next room from the Newspaper just as you enter on the right side on the desk. Make sure to grab this before interacting with weapon on the other side of the room. Cylinder (The Anarchists 17.10.86) – There’s two paths you can take to this item. At one point you need to swing on a lamp post to reach the opposite side. 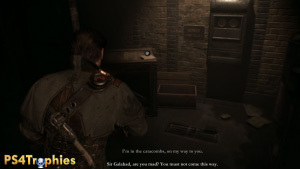 Either before doing that or after, you will need to make your way down and around and there will be a chest under the stairs you can open for the cylinder. 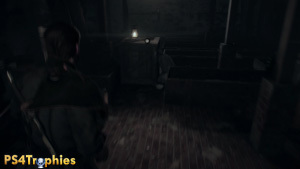 Newspaper – Once you have found the key to access the gate in the garden, head down the stairs to where it is located. 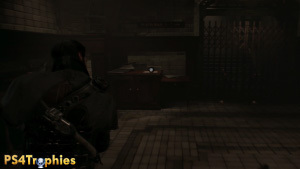 Opposite of the gate is a small room with ammo and the Newspaper. Make sure to grab it before going interacting with the gate. Photo & Document – After the garden area you will lock pick a door. On the other side of it you will immediately start this directive and right in front of you is the photo. It’s hard to miss this one. Object – After going back outside you will save the girl from a “would be” attacker. After a short conversation with her continue just a little further and off to the right you will see a door with a light above it. 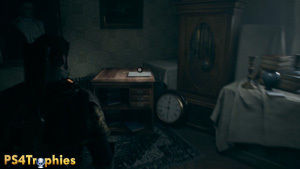 Enter the room and you will find the final object and earn the Power of Observation trophy if you got all the objects up to this point. 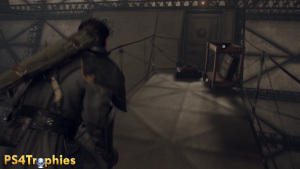 Cylinder (News From the East Indies) – Once you enter the building you will have to clear out a ton of enemies. After doing that you will head down some stairs and go through a door. Take note of the door you can break into that’s in front of you. Before that door along the right wall is the cylinder out in the open. Photo & Document – A few feet away from the cylinder is a door you can break into. Once you enter the room you will see a photo right in front of you on a desk. Cylinder (Ramayana, First Verse) – You will run up some winding white stairs and go through a door. You are suppose to take an exit to the right and head back outside. Before you do that look at the long table in the room and go to the opposite side of it and you will see the cylinder at the far end. Newspaper – After your encounter out in the courtyard from the second floor you will head back inside. In this room along the right side of the room will be a newspaper on a table. 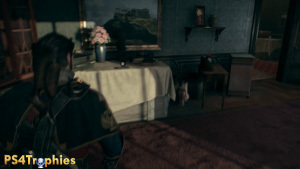 Photo & Document – In this room, there are four collectibles. 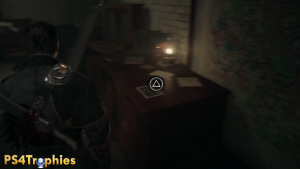 You MUST get this before searching the rest of the room or you risk the story advancing you automatically to a new room. When you first enter this room you will find a document along the left wall on a desk. Cylinder (The Captain’s Testament) – Stay along the left side of the room and notice large bookcases protruding out into the room towards the railing. Go to the backside of the last one and open the drawer and you’ll find a cylinder inside. Photo & Document – In the far end of the room opposite of where you entered from is a desk with a photo on it you need to inspect. Cylinder (Chopin, Prelude in E-minor, ‘Dying Away’) – The final collectible in the archives is back near the beginning. 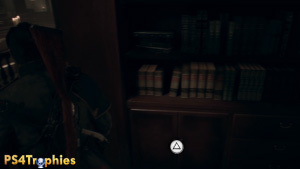 If you circled right from where you entered it will be in a cabinet in the first bookcase you come to. 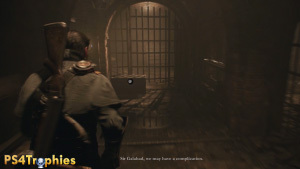 Newspaper – Follow the path and you will enter a large room with four exits. One you came from, two that are locked and one that leads you further in. As you enter you will find a Newspaper in the back left corner between the two lock paths. 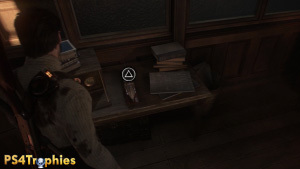 If you have acquired all Newspapers up to this point, picking this up will earn you the Well-Read trophy. Photo & Document – You will enter a door that takes you into the catacombs. 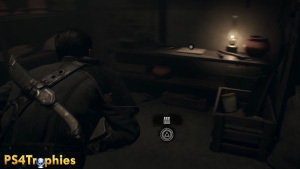 As soon as you enter turn to the left and enter the small area to the left and a document will be on a crate. 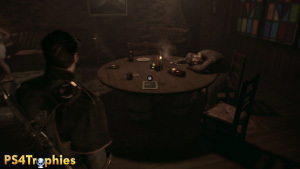 Cylinder (The Anarchists 29.11.86) – The final cylinder is going to be shortly after you encounter some resistance. 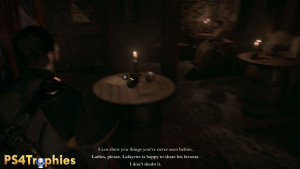 You will first enter a room with just two guys. In the next room there will be a half dozen more. Once those are dead you will take the path out and reach a split in the path. 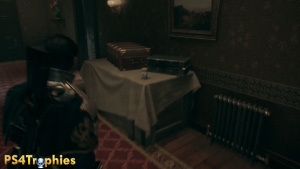 Stay left and you will run into a chest containing the cylinder. 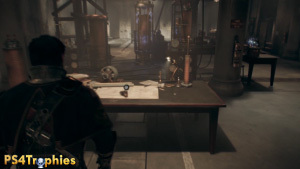 Since this is the final cylinder, you will earn the Archivist trophy. 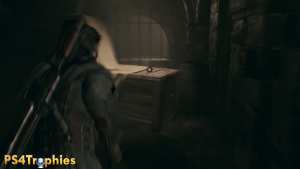 Photo & Document – The final collectible will be a little further in after a very large encounter with two sets of reinforcements followed by another smaller encounter in the next area. 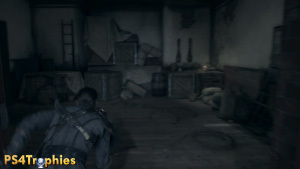 Continue on from there and you will eventually reach a blocked doorway with wood planks covering it. Before busting through that, take the pathway the runs to the right of it and you will find a photo at the end of it. 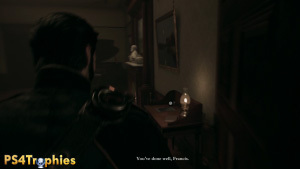 You will now earn the Detailed Oriented trophy for finding all photos and documents as well as Inspector First class for finding all inspect items. I managed to get all off my last trophies the same time you did lol.. thanks for the great work you do.